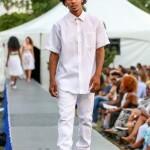 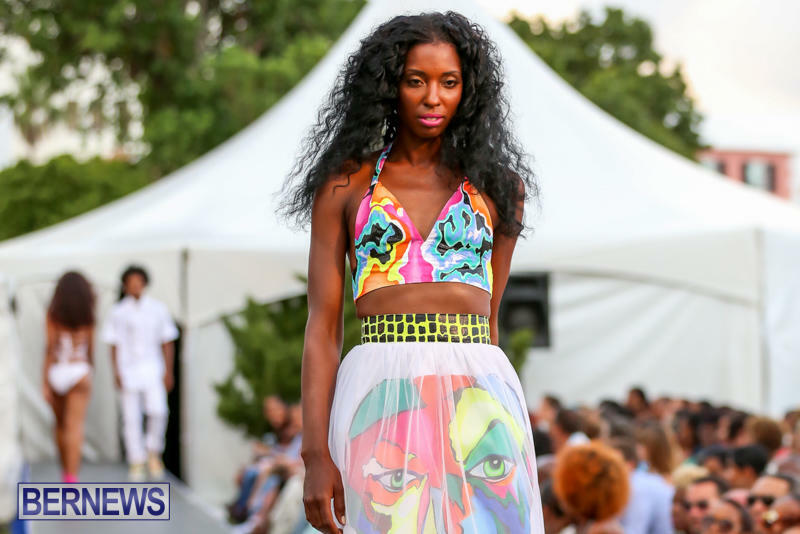 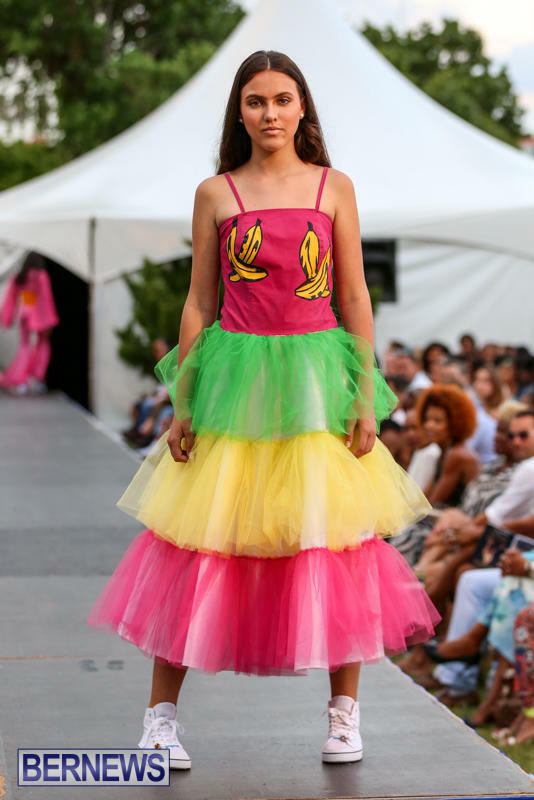 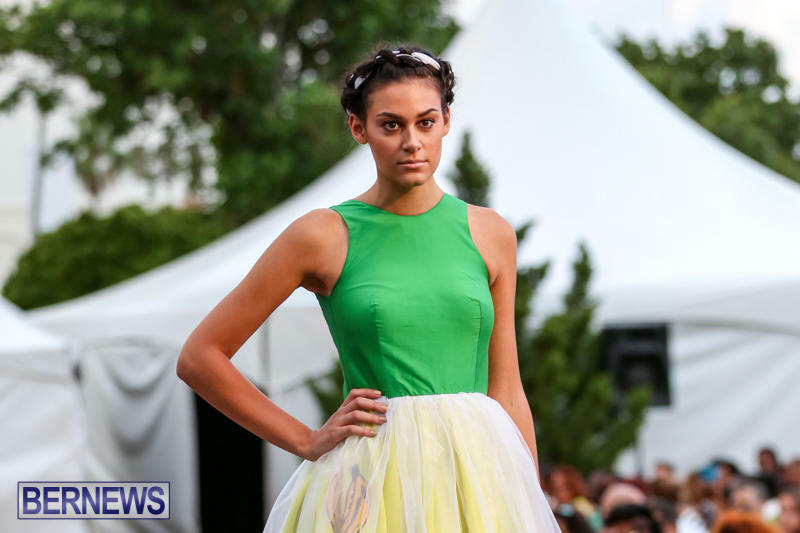 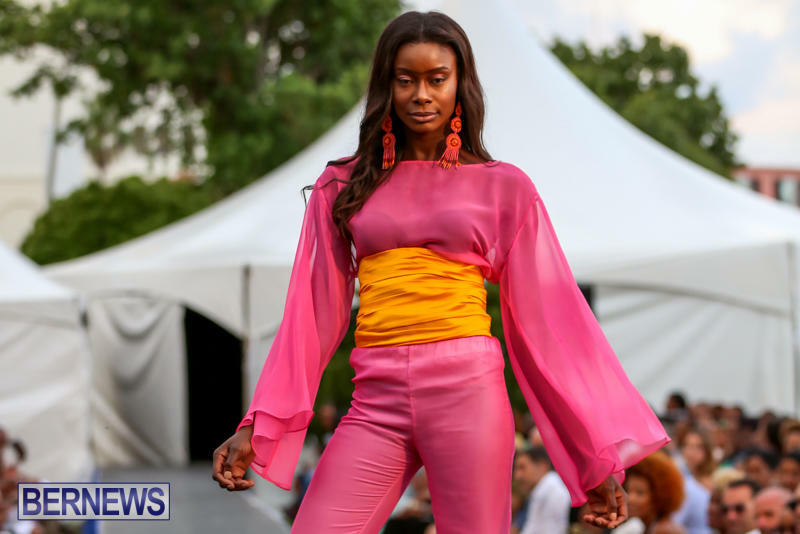 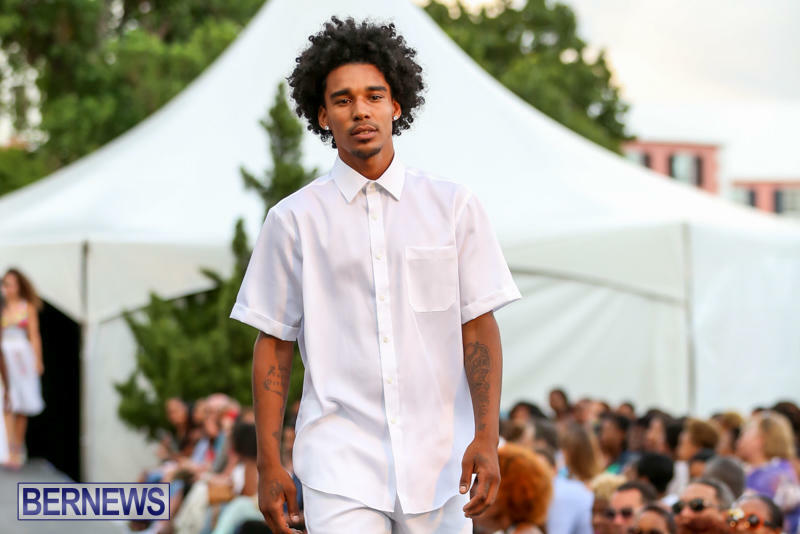 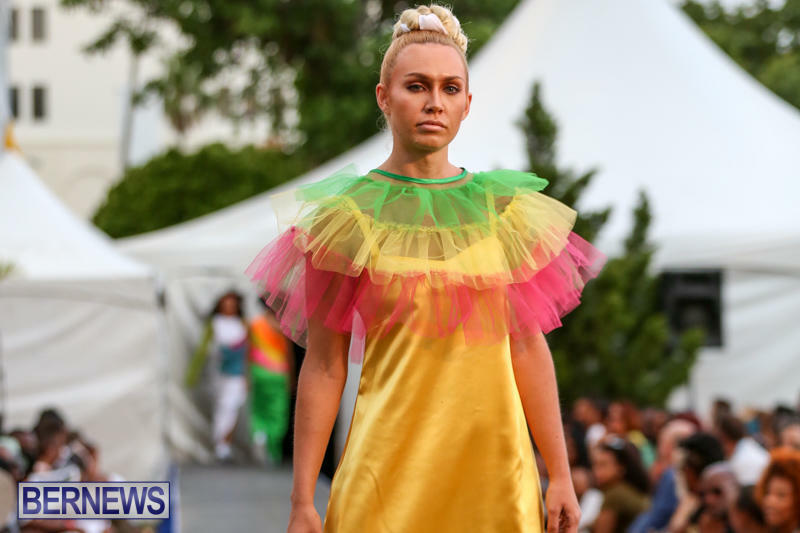 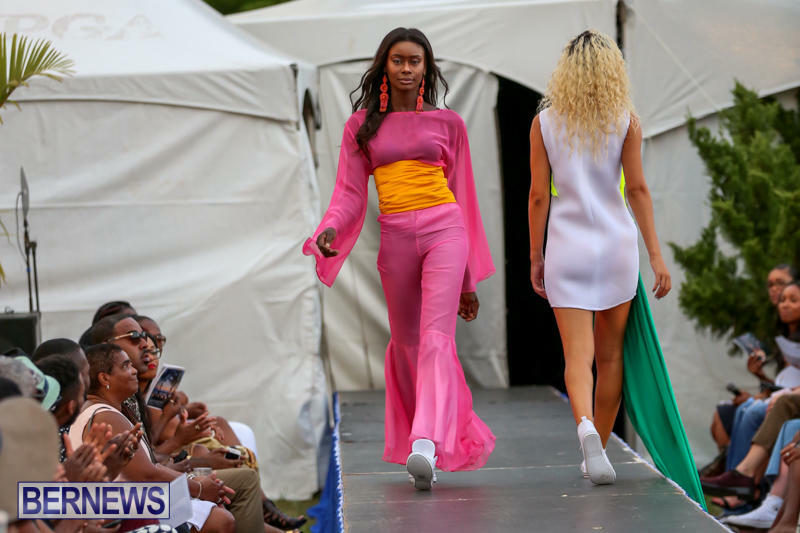 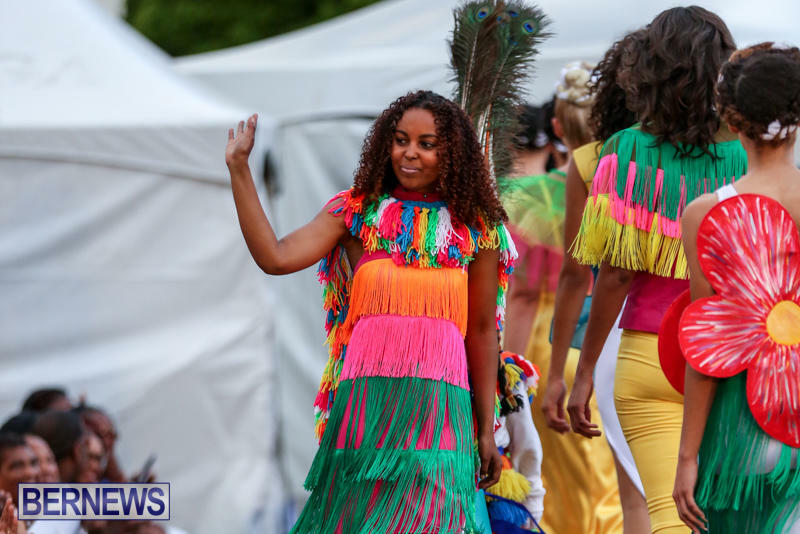 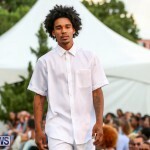 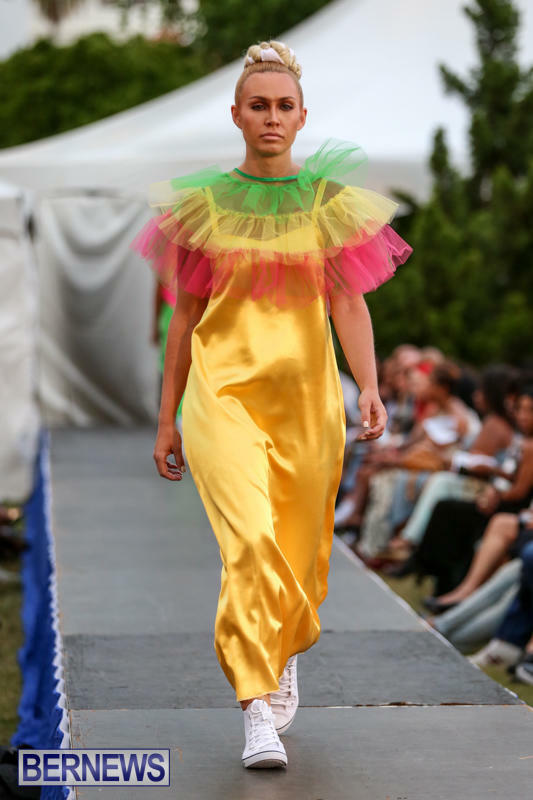 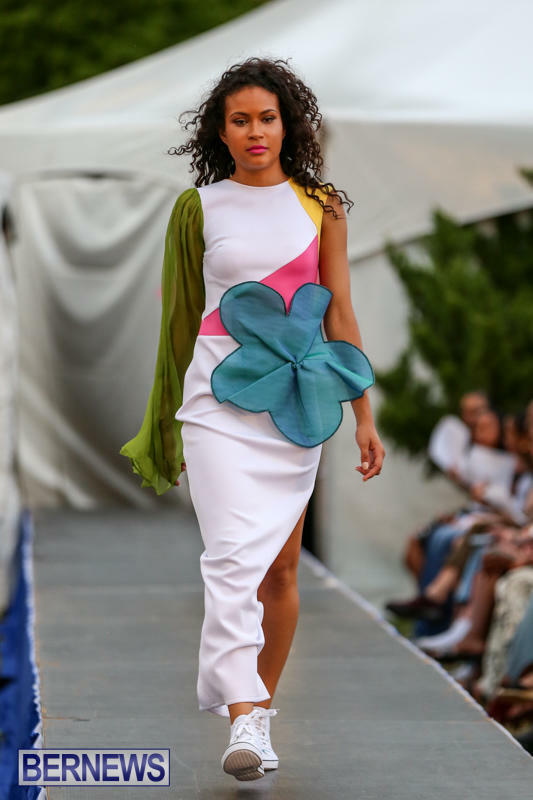 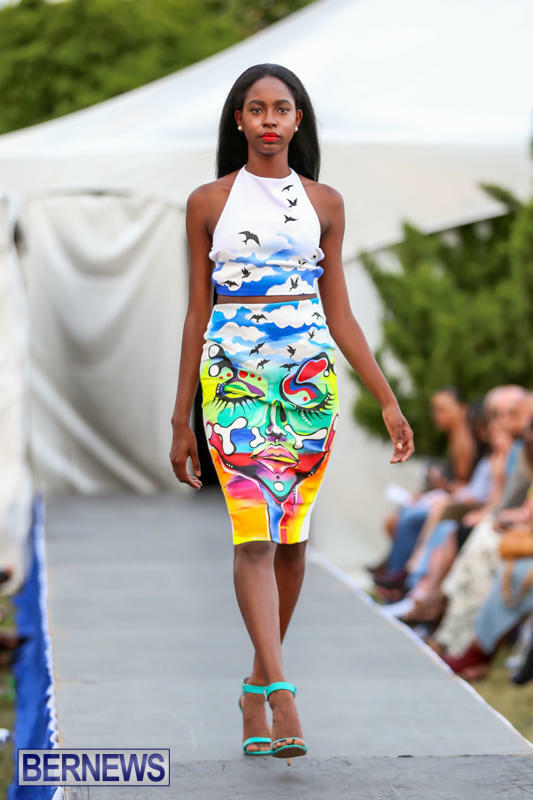 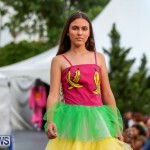 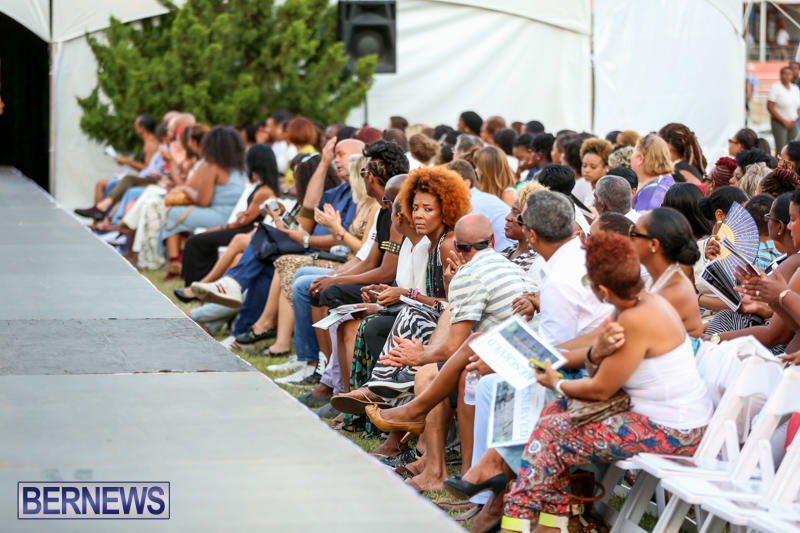 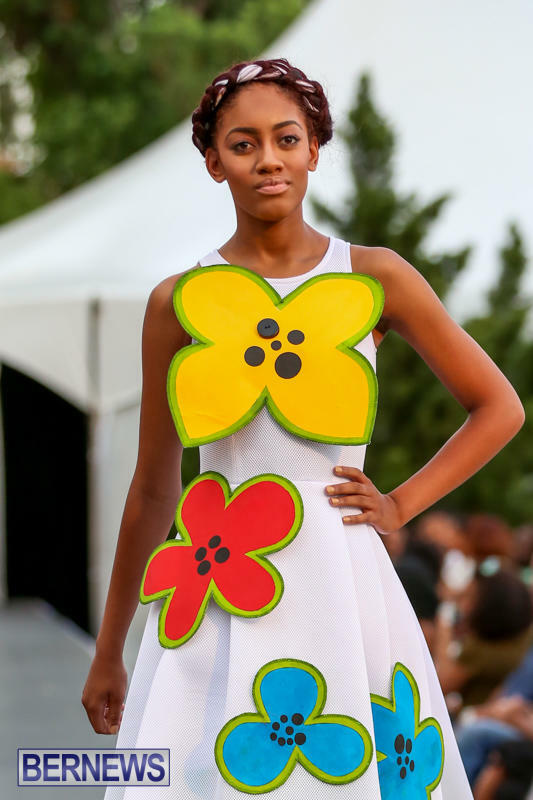 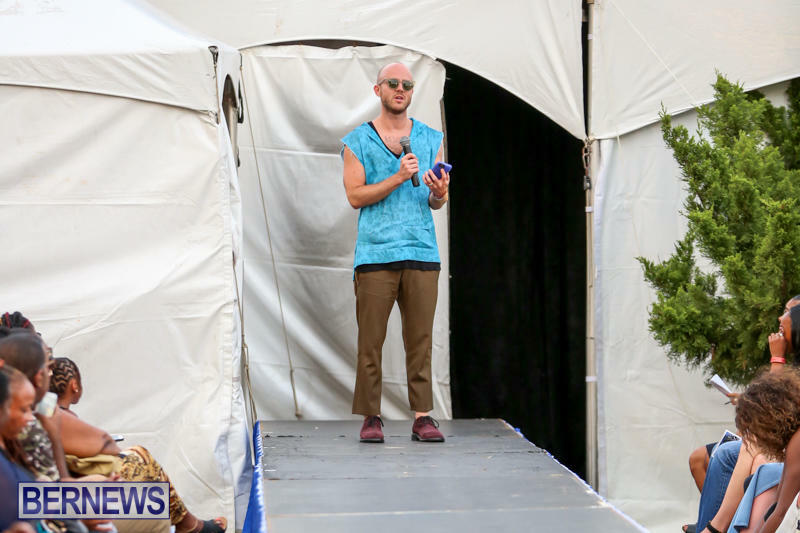 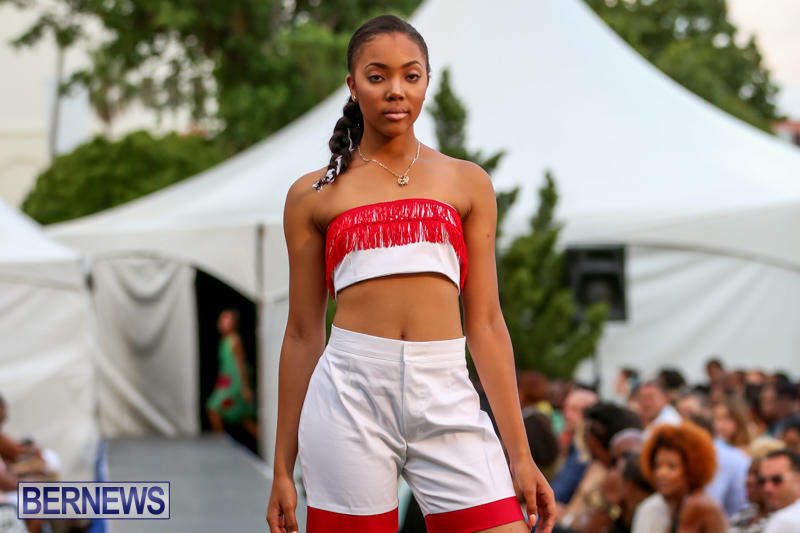 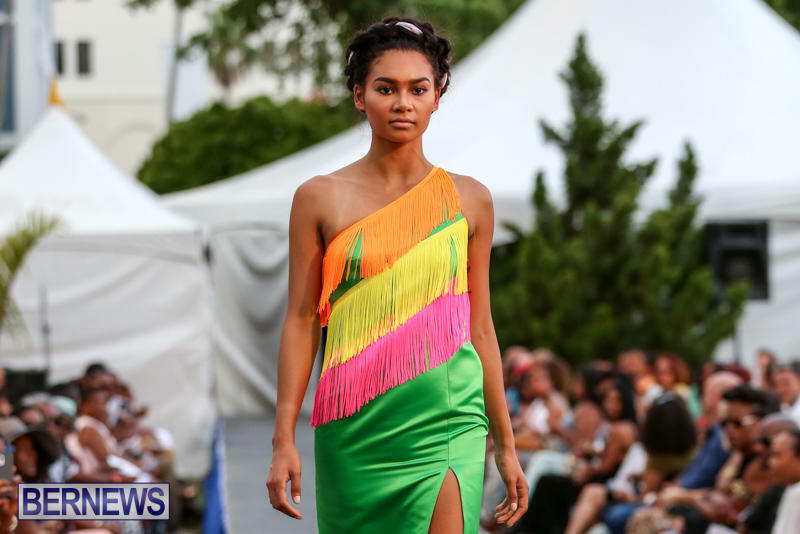 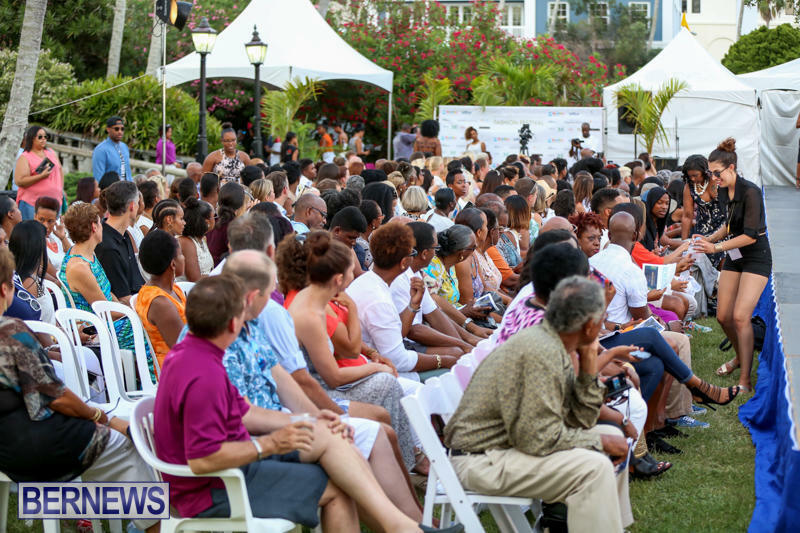 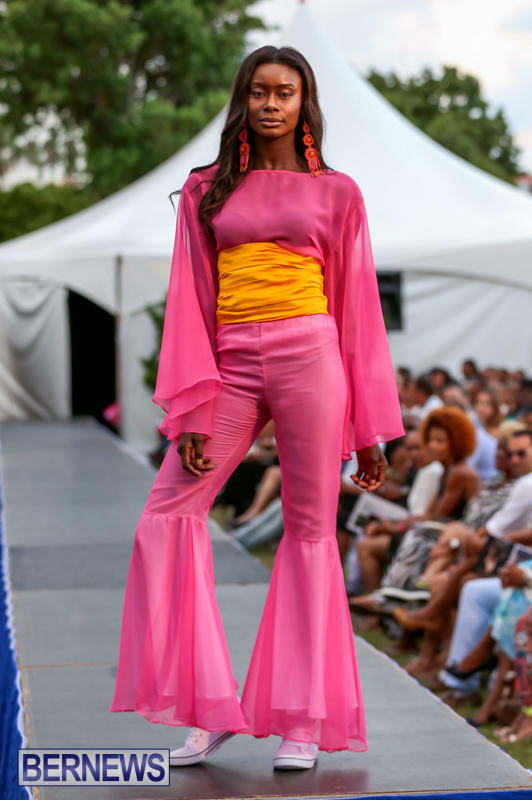 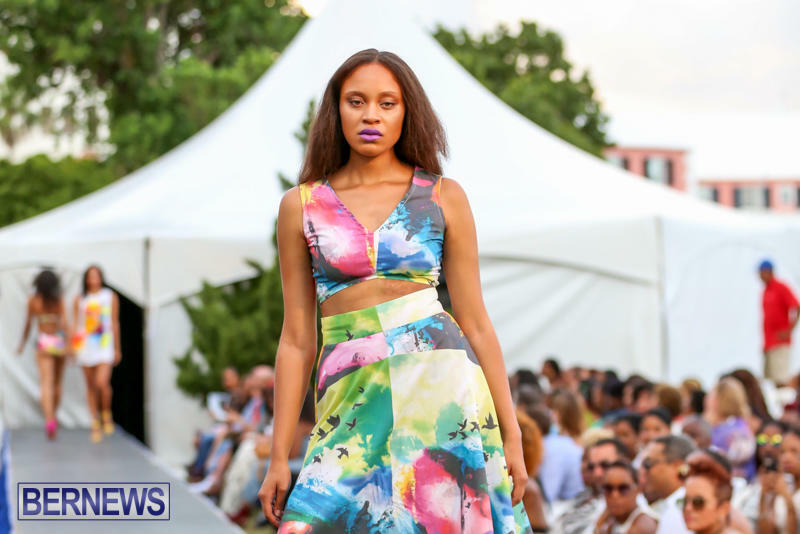 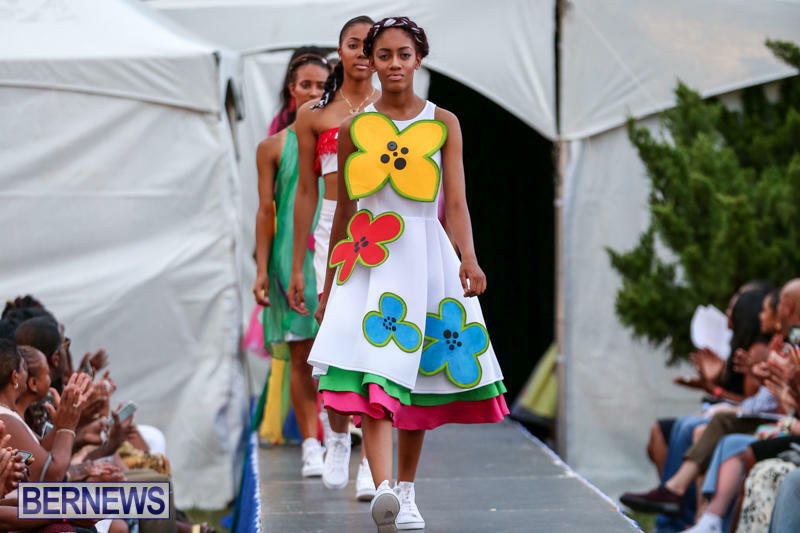 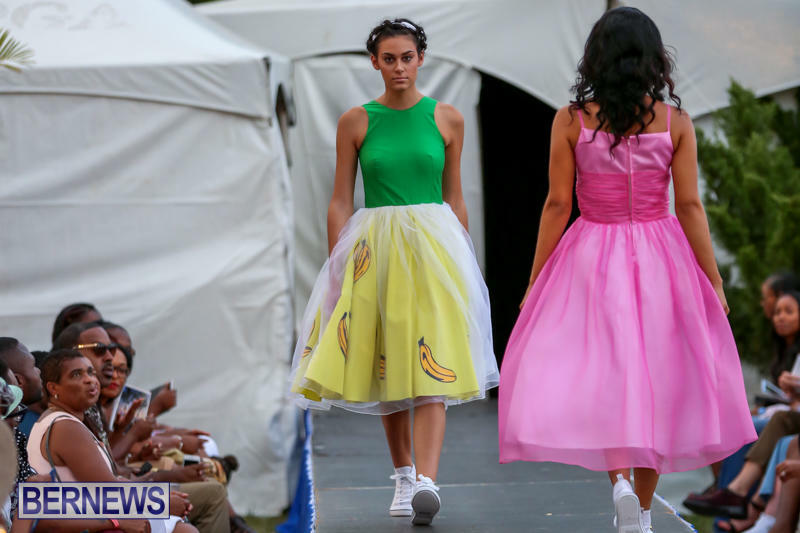 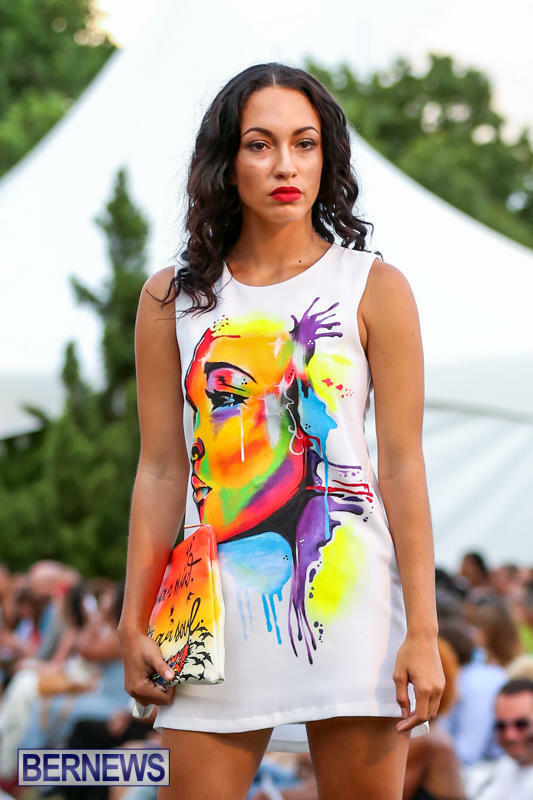 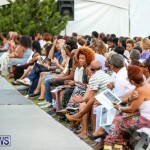 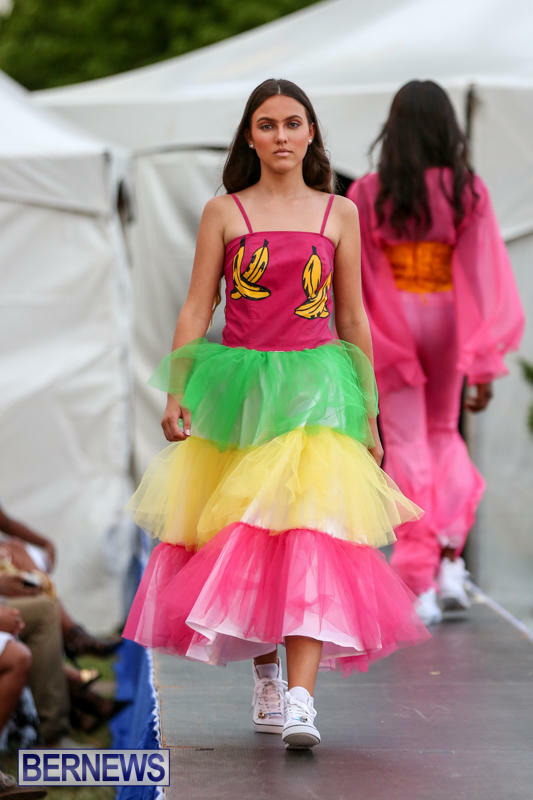 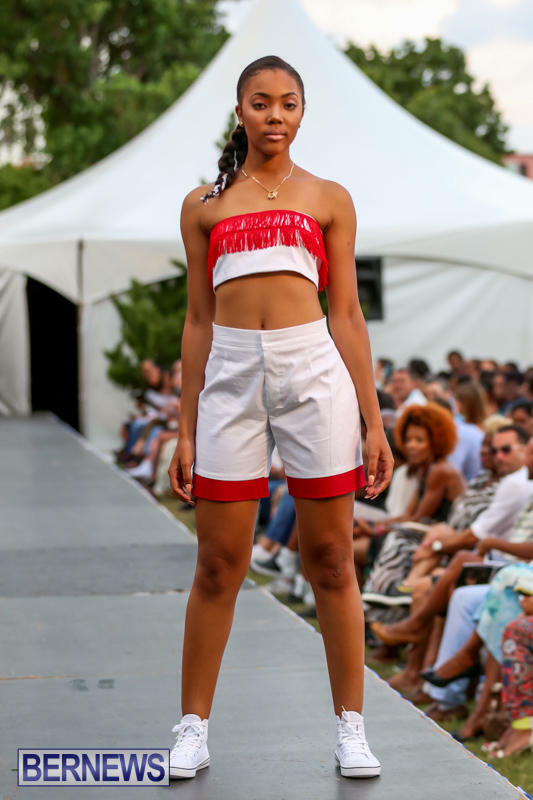 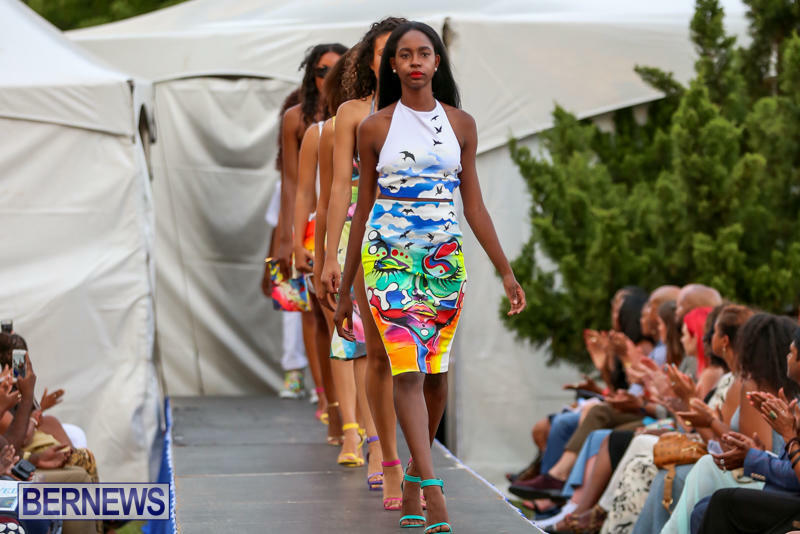 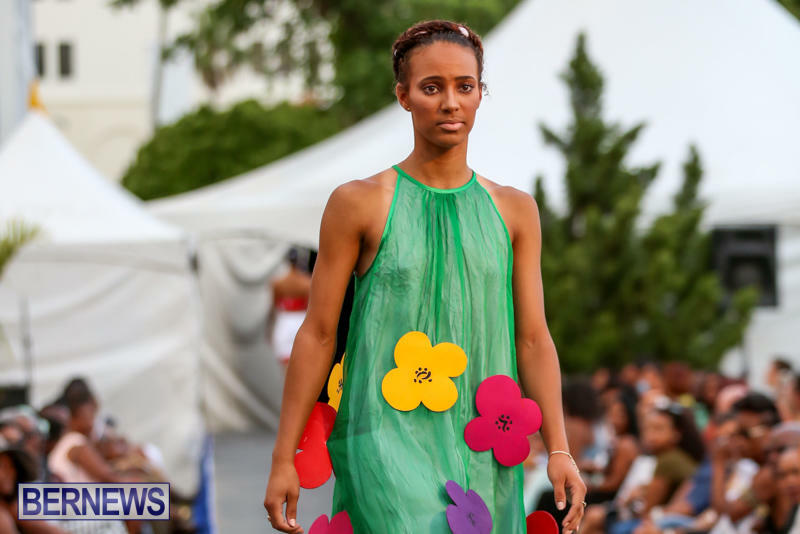 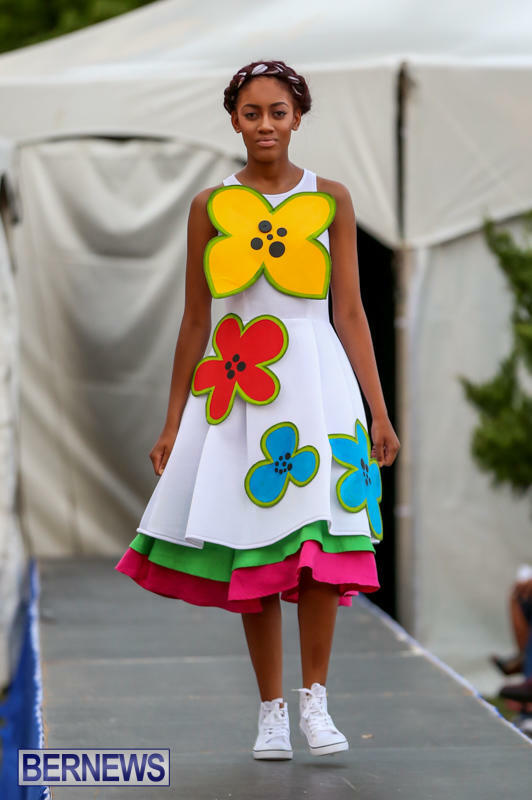 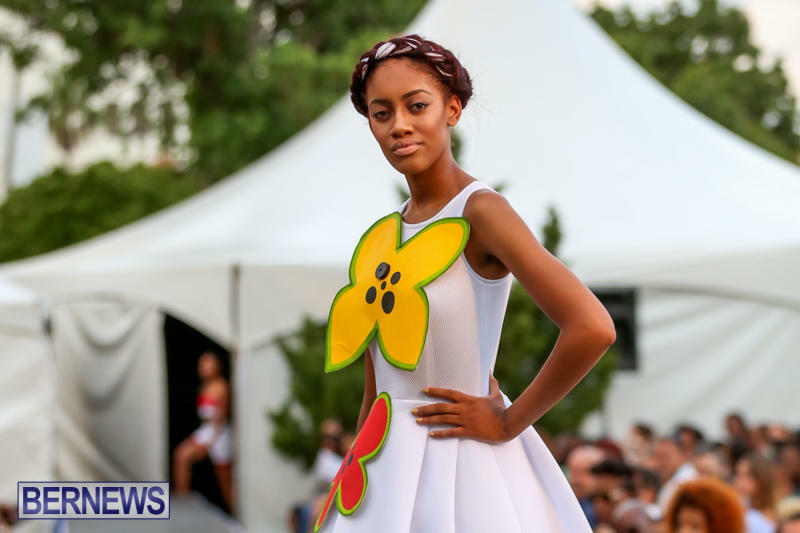 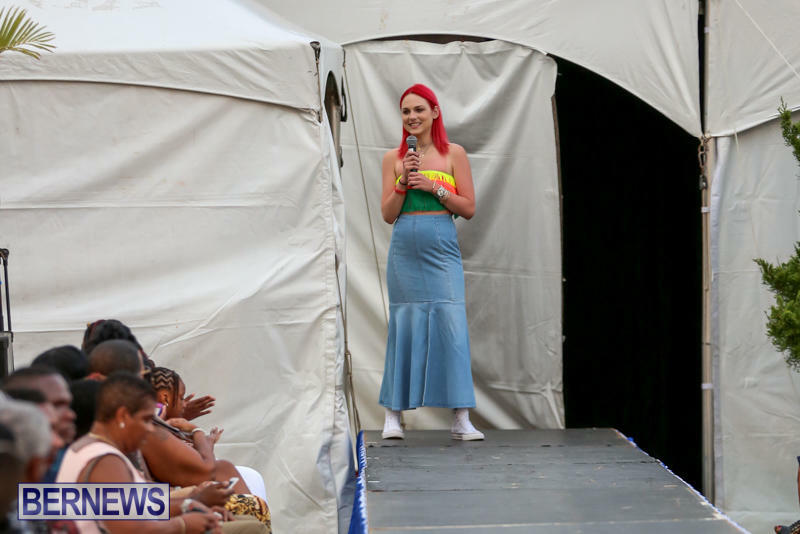 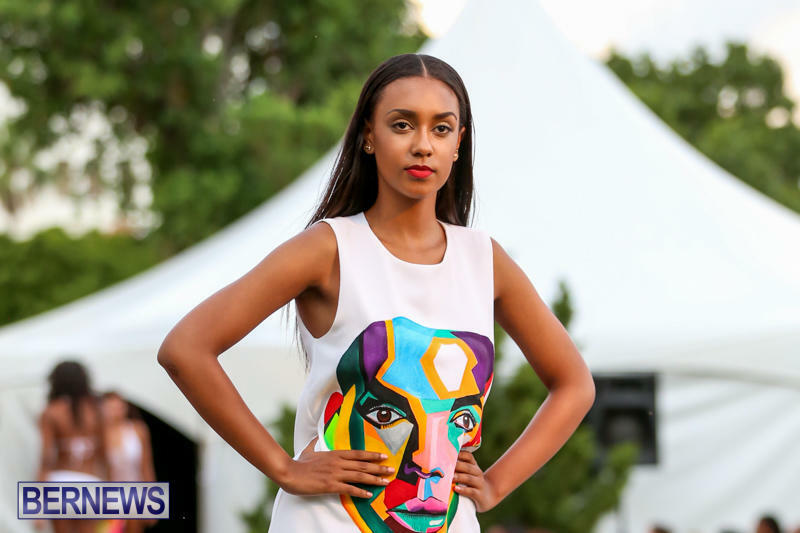 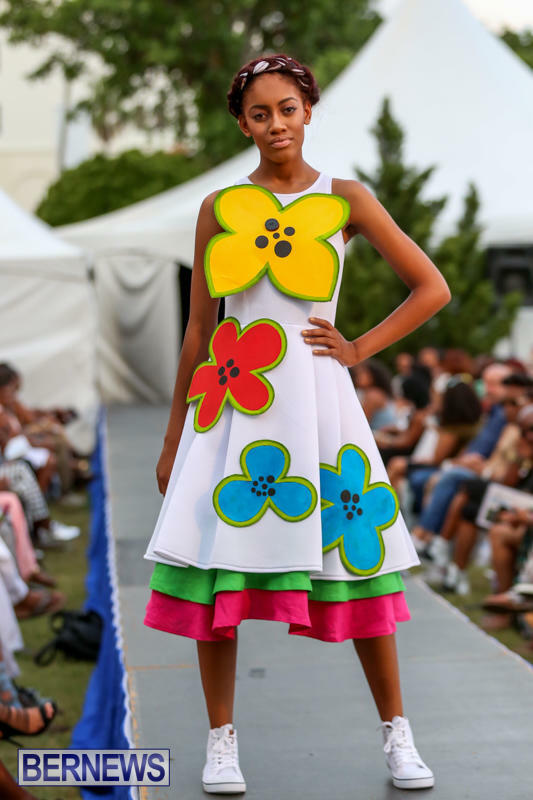 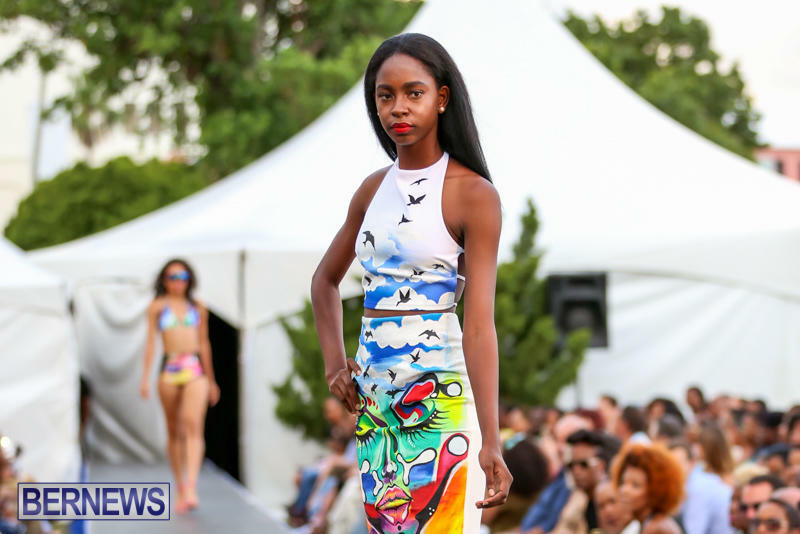 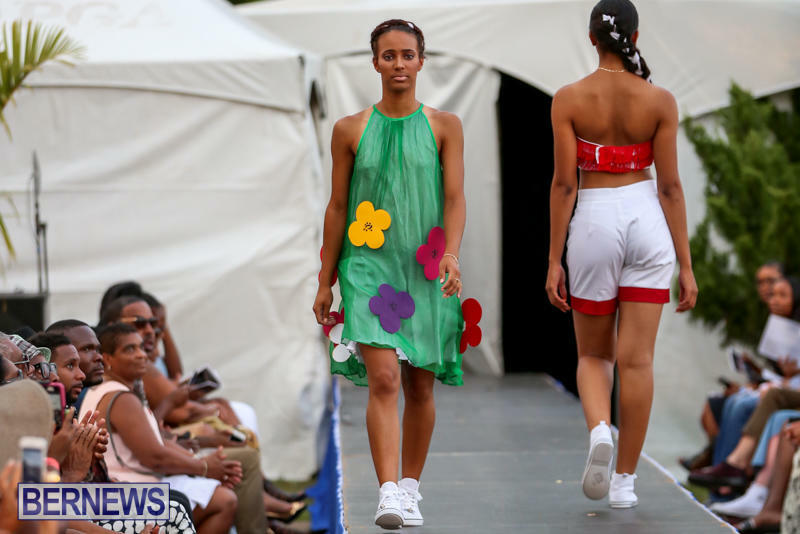 [Updated with more photos] The Bermuda Fashion Festival’s Local Designer Show was held today [July 8] at Barr’s Bay Park, offering spectators a runway event featuring six local designers displaying ready to wear collections exclusively for the Bermuda Fashion Festival. 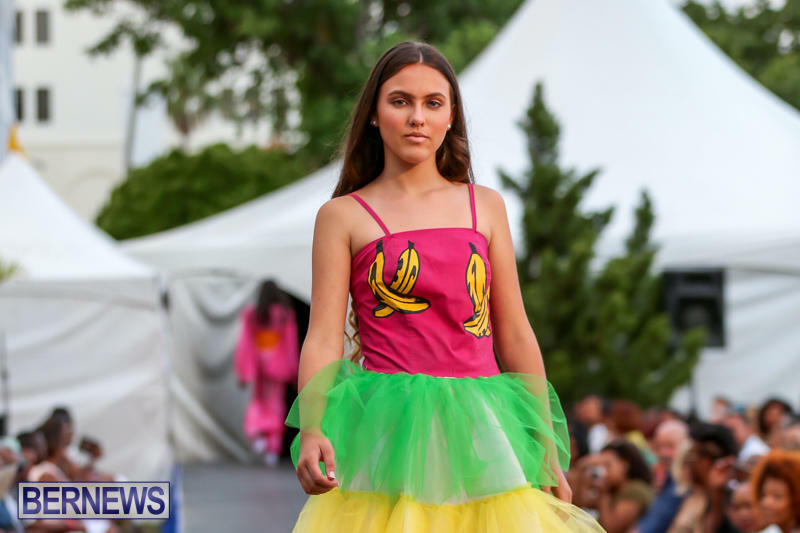 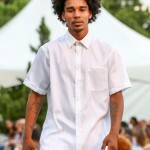 The designers featured at the show included LoveBomb Inc by Brittany Wolffe; Novah Swimwear by Madeline White; M-Sew by Meagan Wellman; GRACE by Courtney Clay; DBA by Alshante Foggo; and TABS Bermuda by Rebecca Hanson. 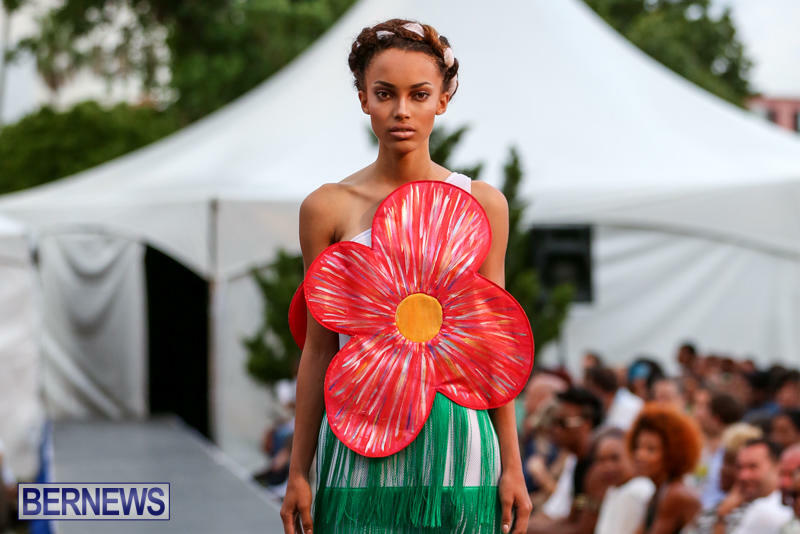 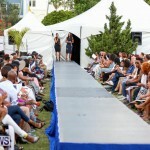 The Bermuda Fashion Festival started with the Hair and Beauty show on Monday [July 7], and will continue with the Local Designer Trunk Show at Pier 6 and the International Designer Show at Barr’s Bay Park on July 9, the Gombey Happy Hour on July 10, and the Evolution Retail Show at City Hall Car Park on July 11. 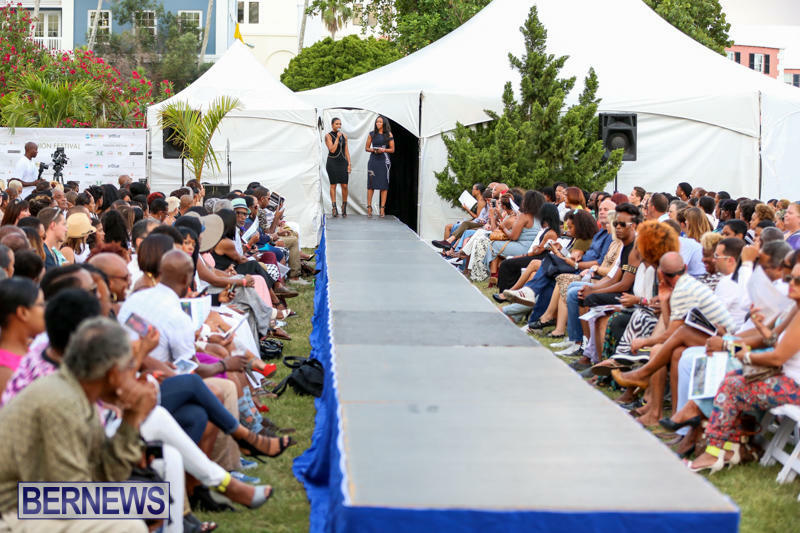 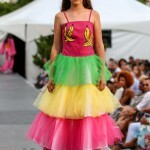 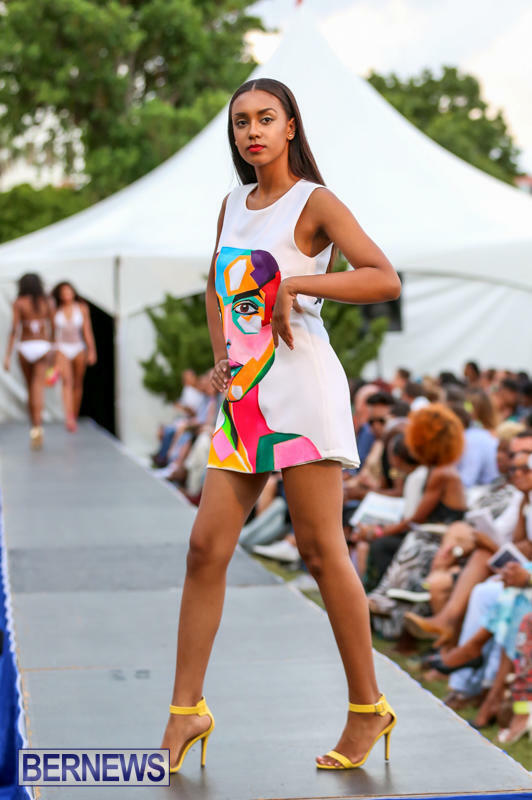 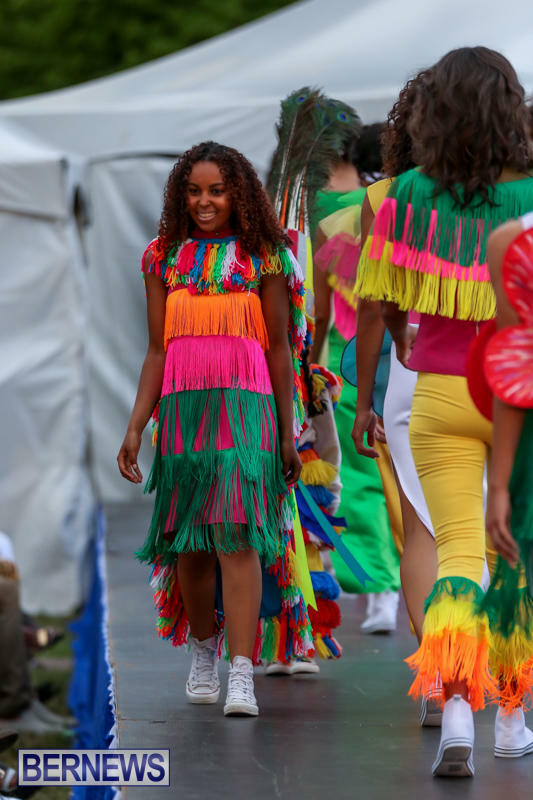 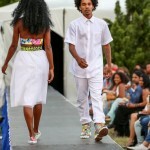 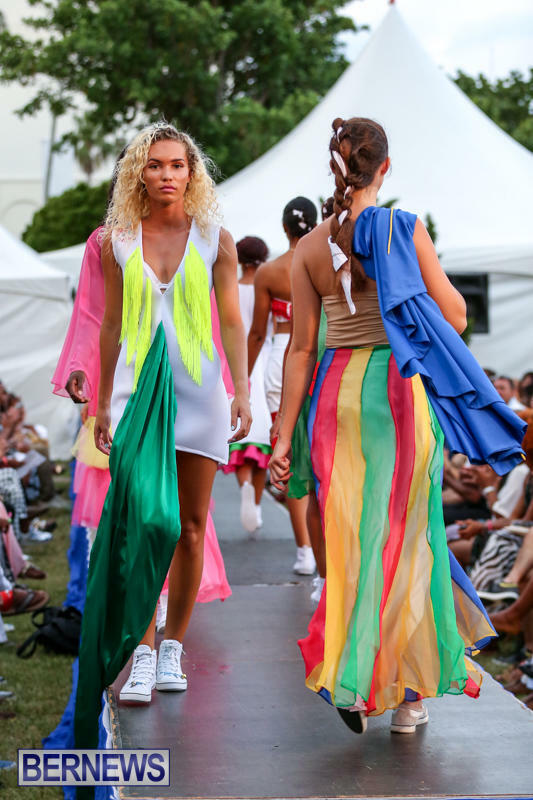 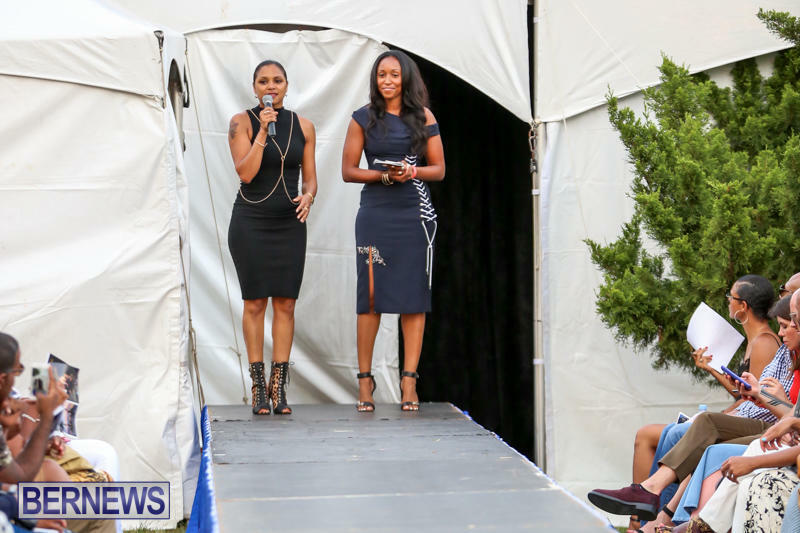 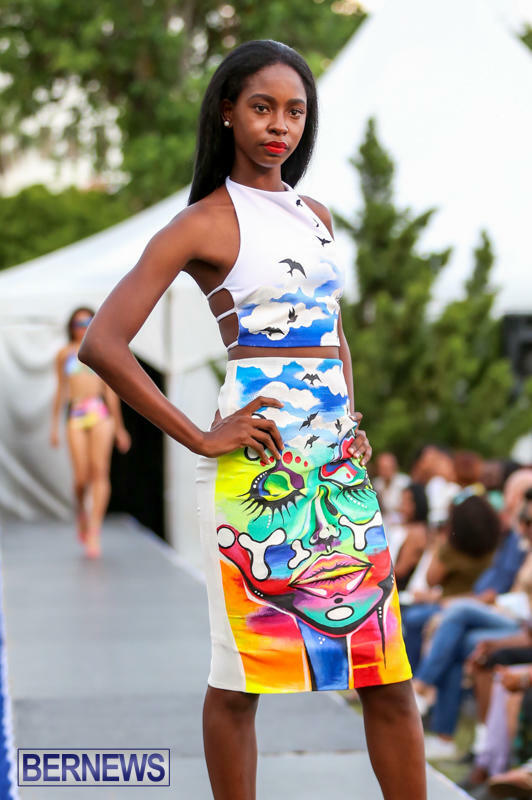 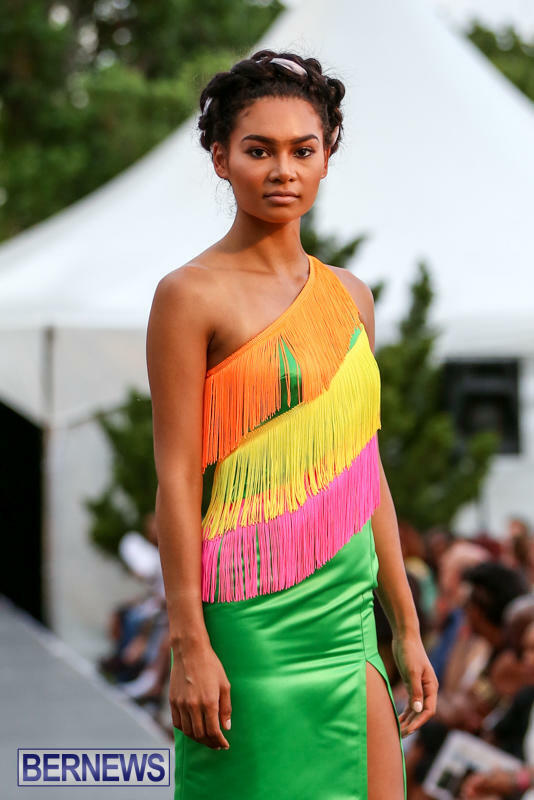 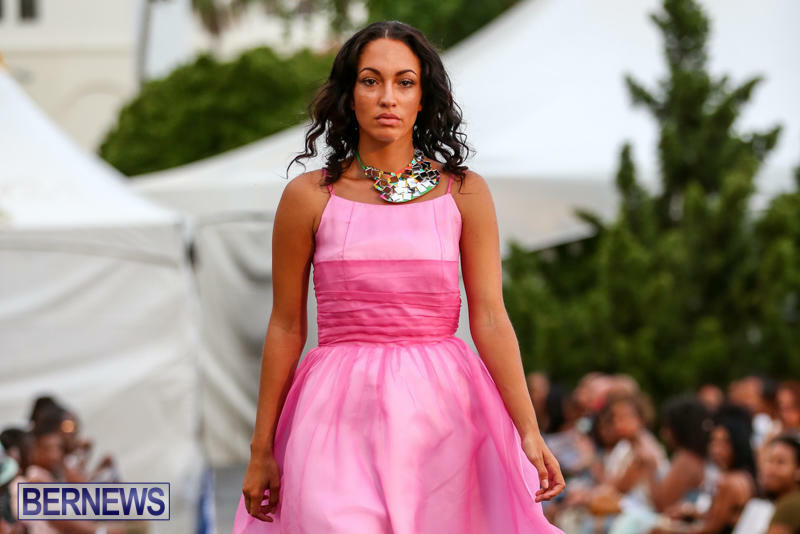 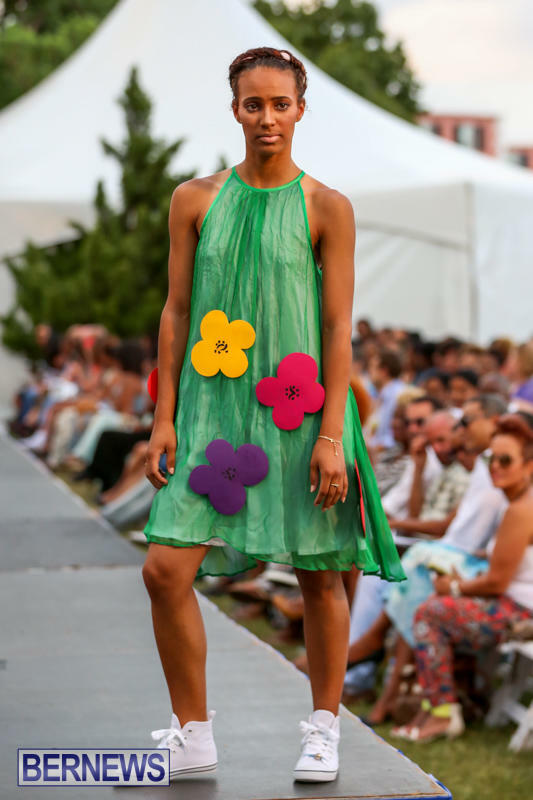 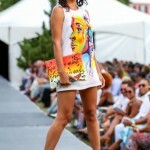 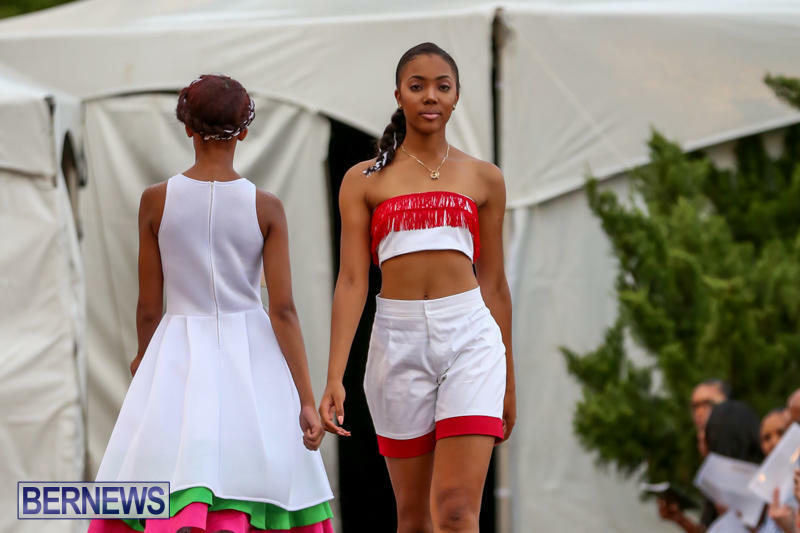 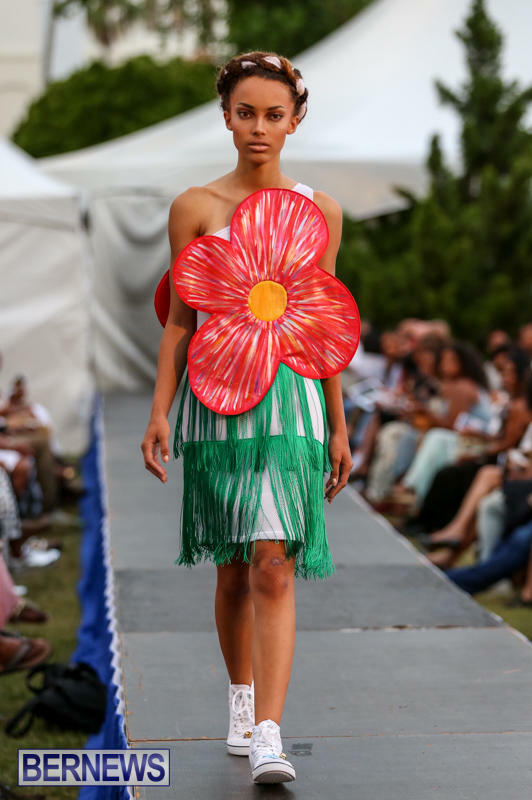 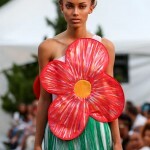 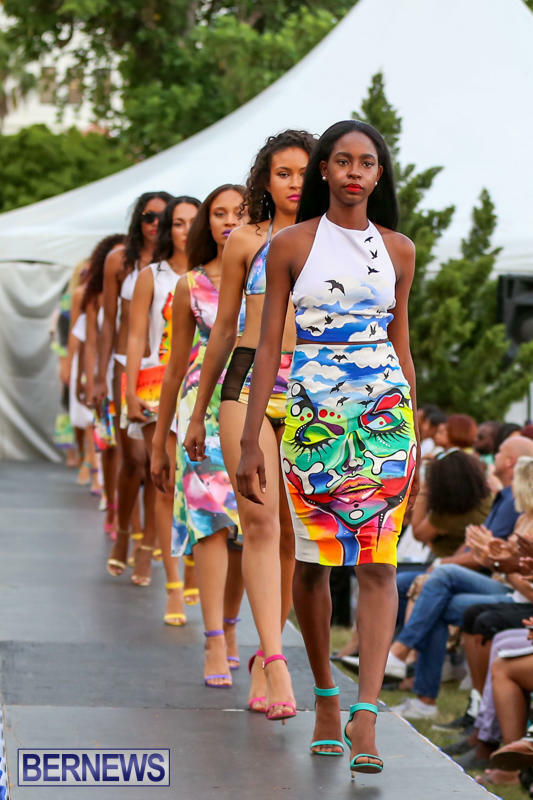 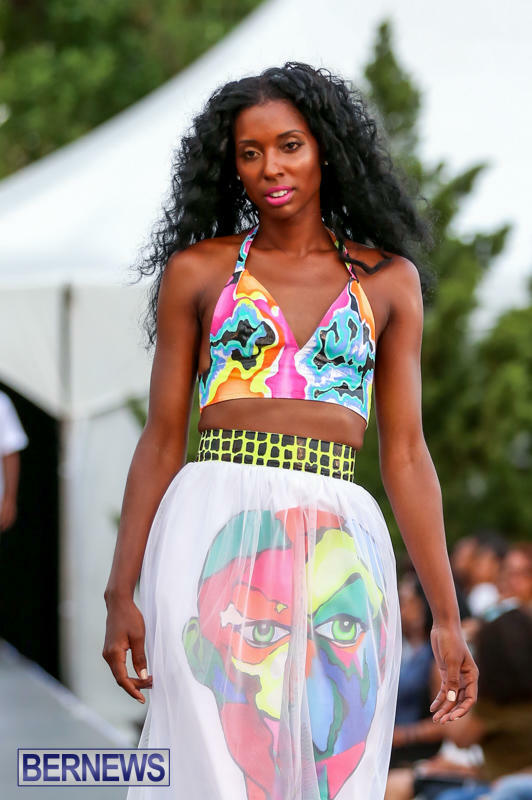 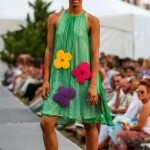 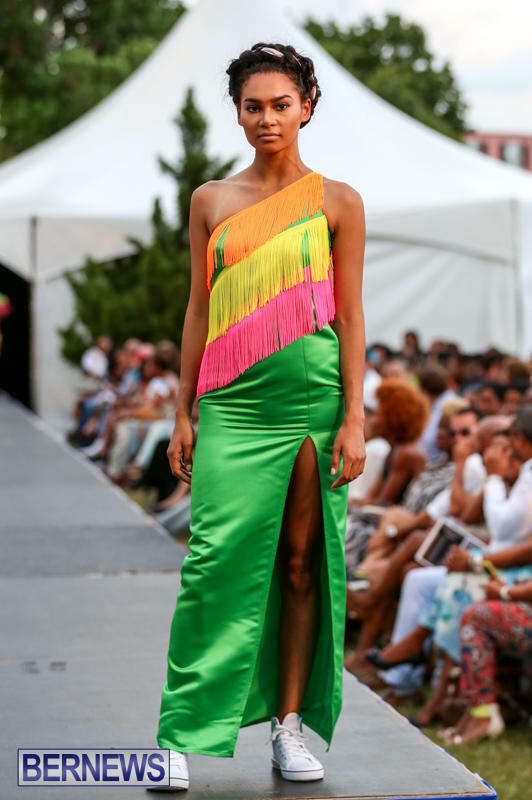 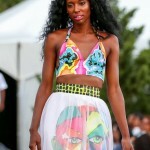 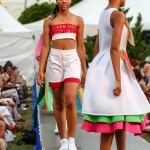 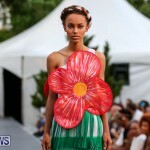 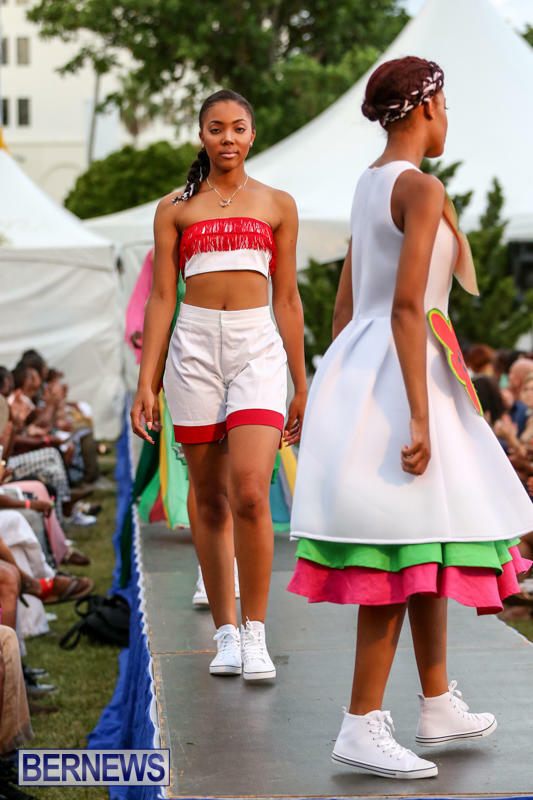 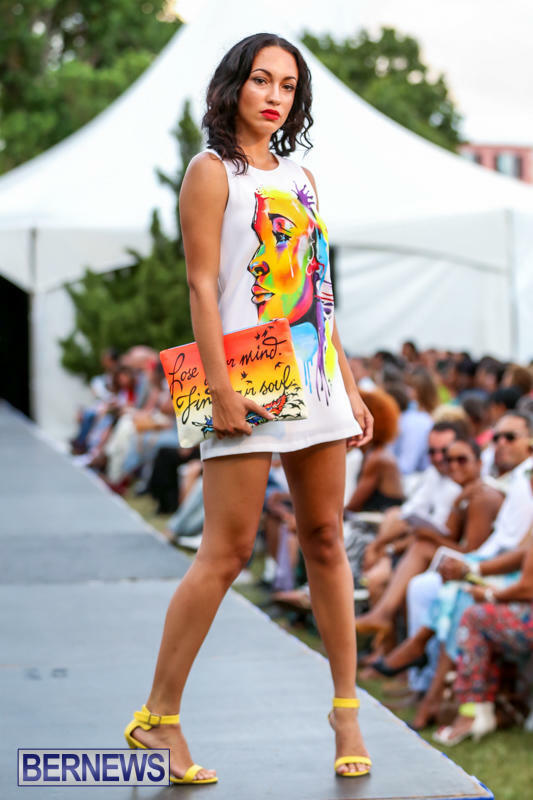 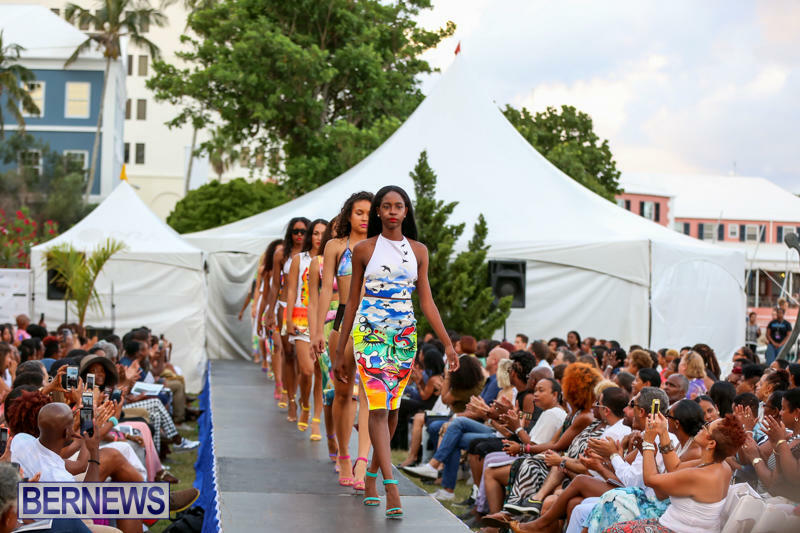 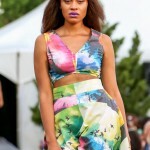 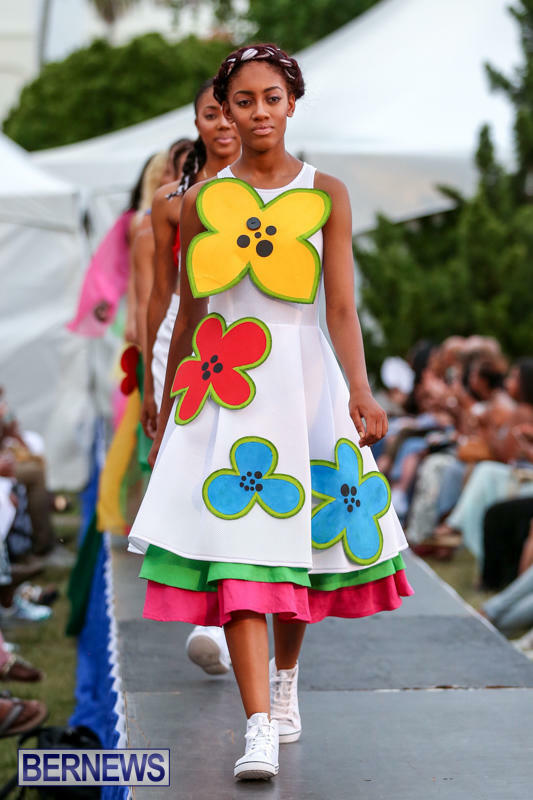 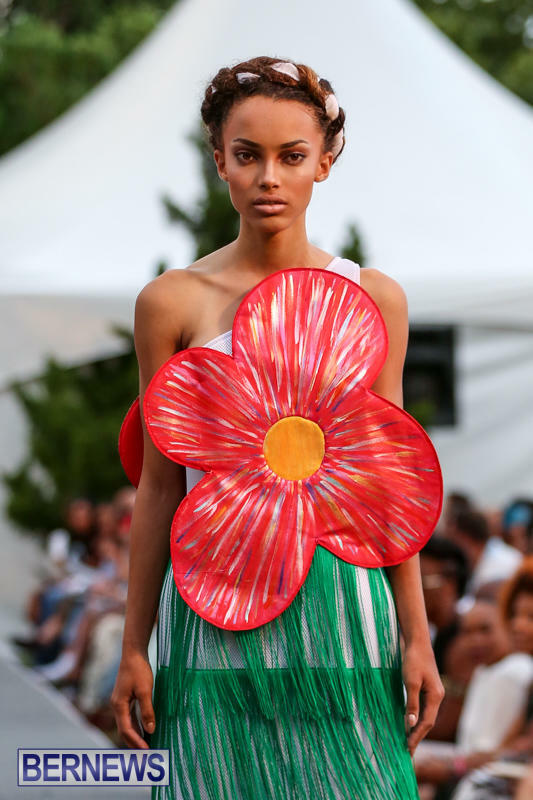 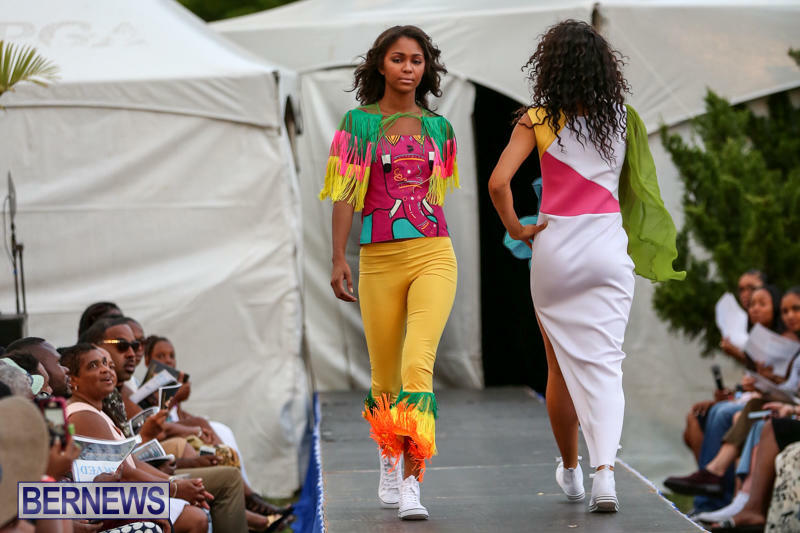 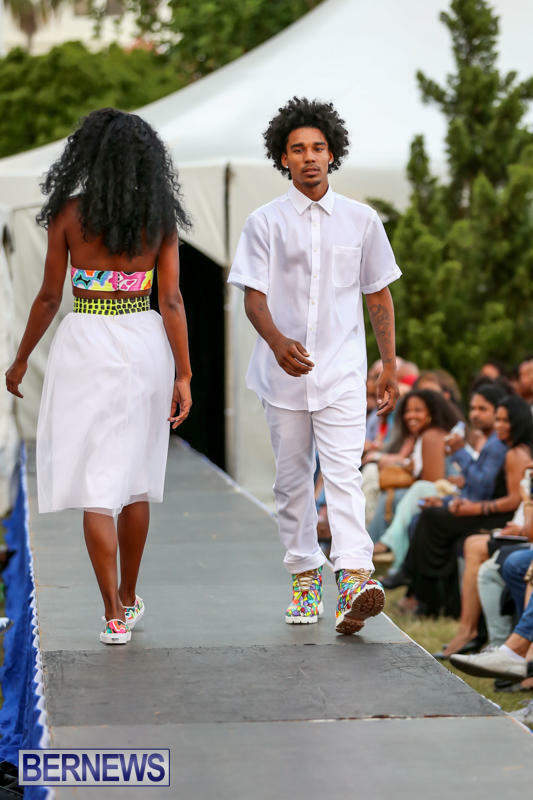 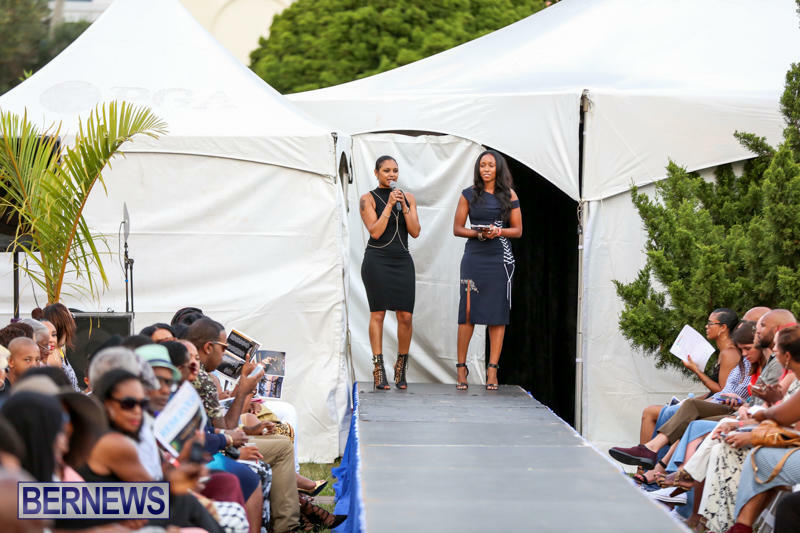 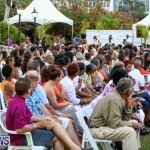 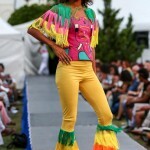 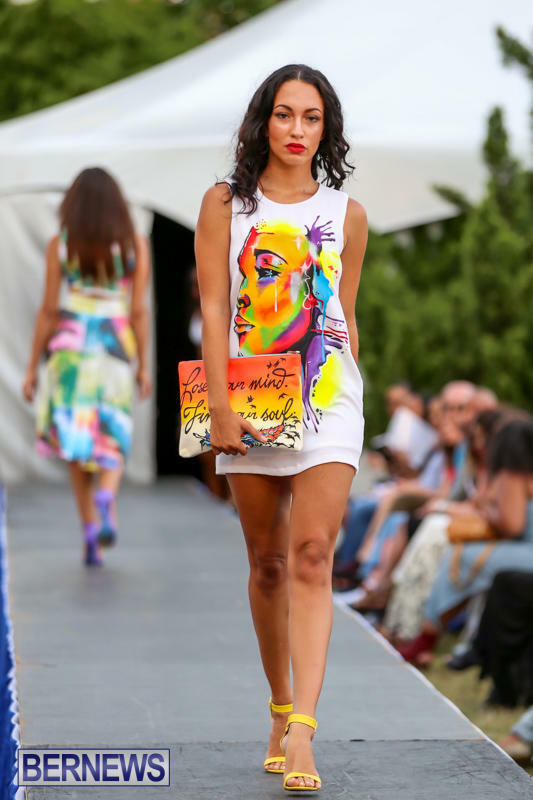 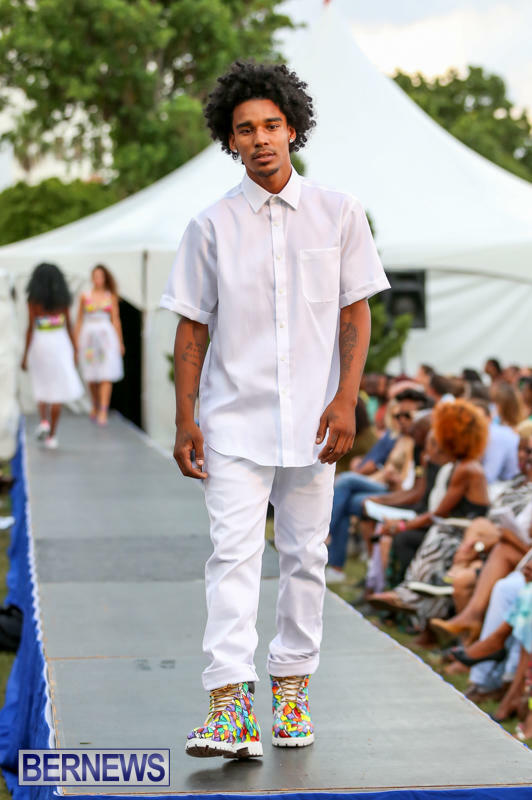 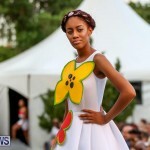 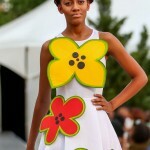 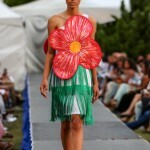 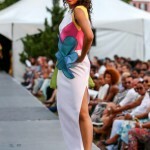 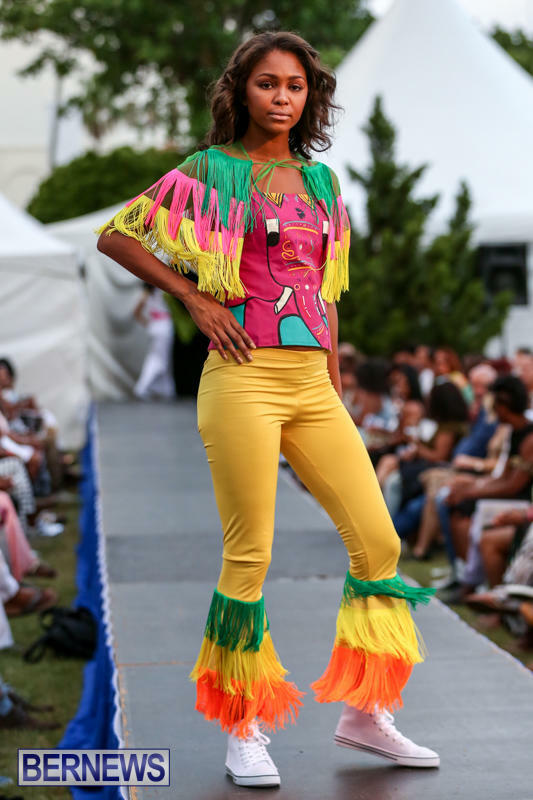 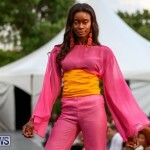 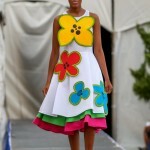 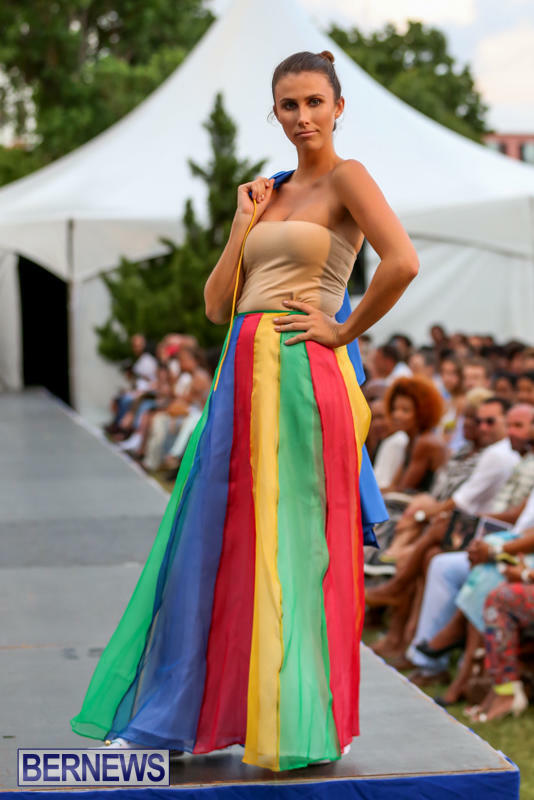 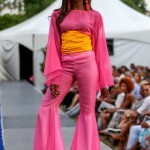 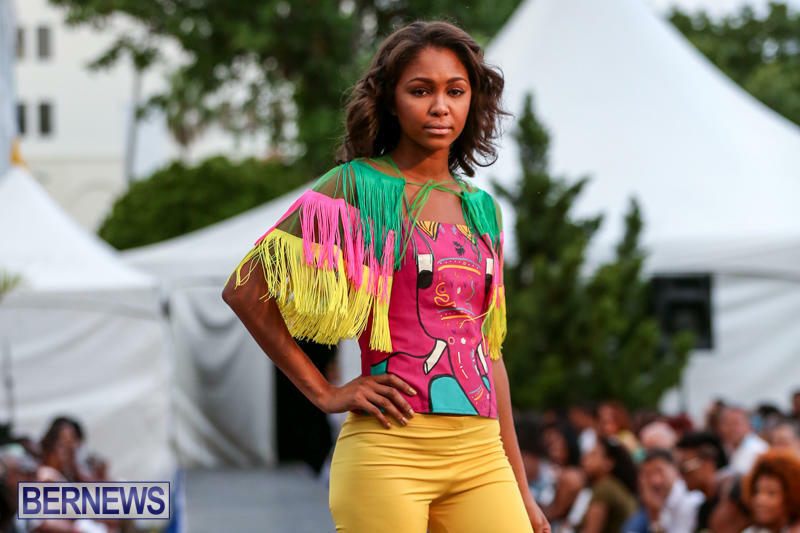 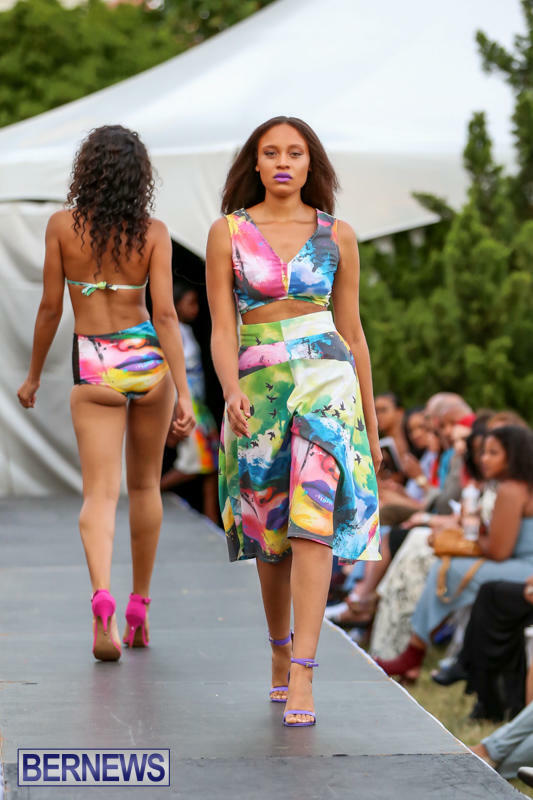 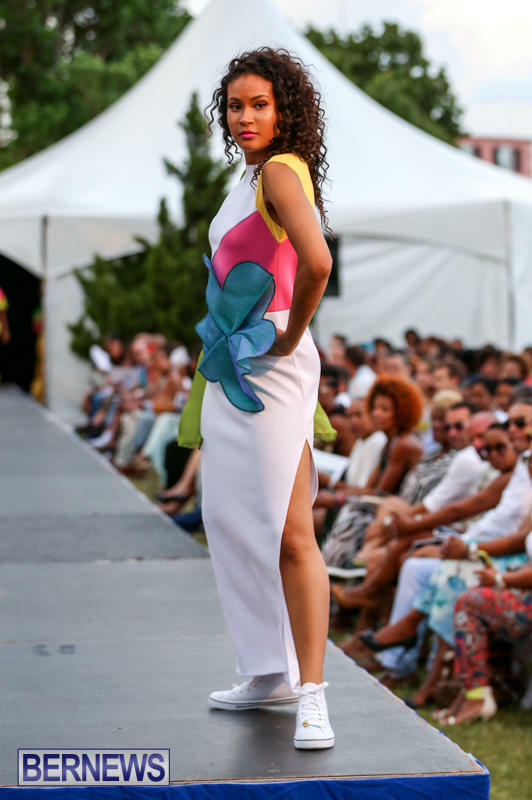 You can view all our coverage of the Bermuda Fashion Festival here. 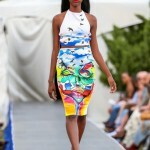 Nice collection, but even when I see international models, why don’t they smile. 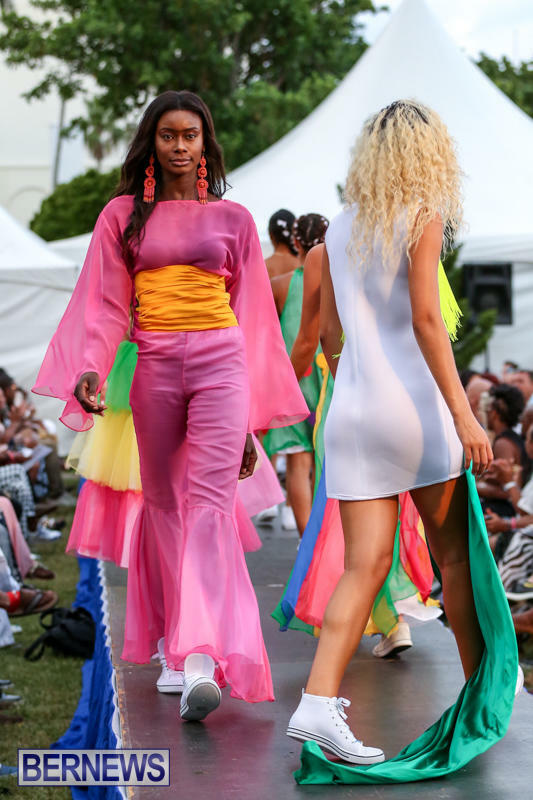 In most runway shows you don’t really smile unless the designer, the show, or even the clothes call for a more upbeat performance. 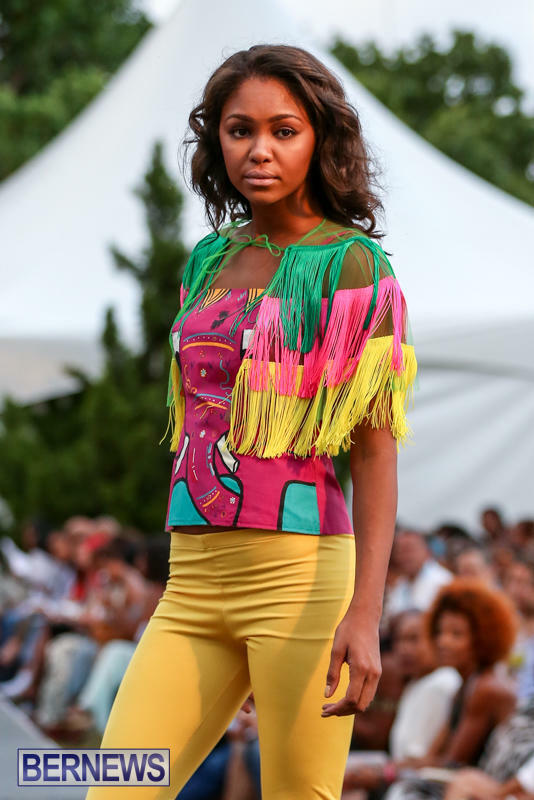 Smiling isn’t a part of modeling. 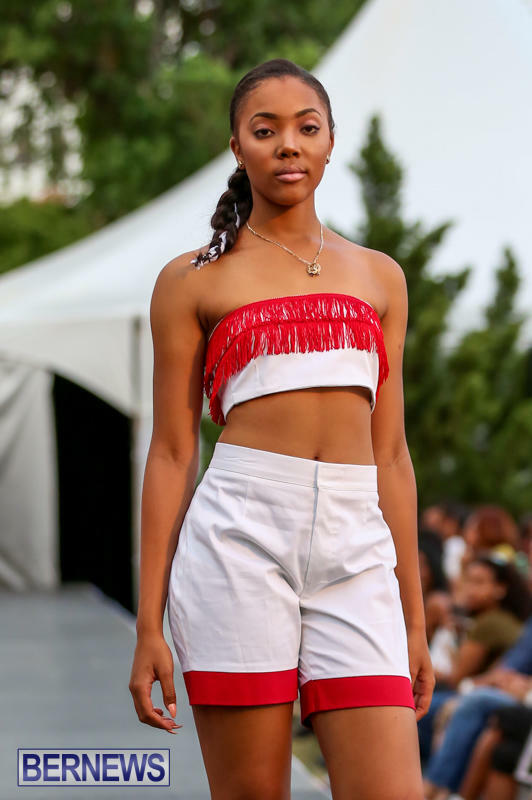 In the professional modeling business, smiling whilst performing isn’t considered professional and it doesn’t appeal to the look or target. 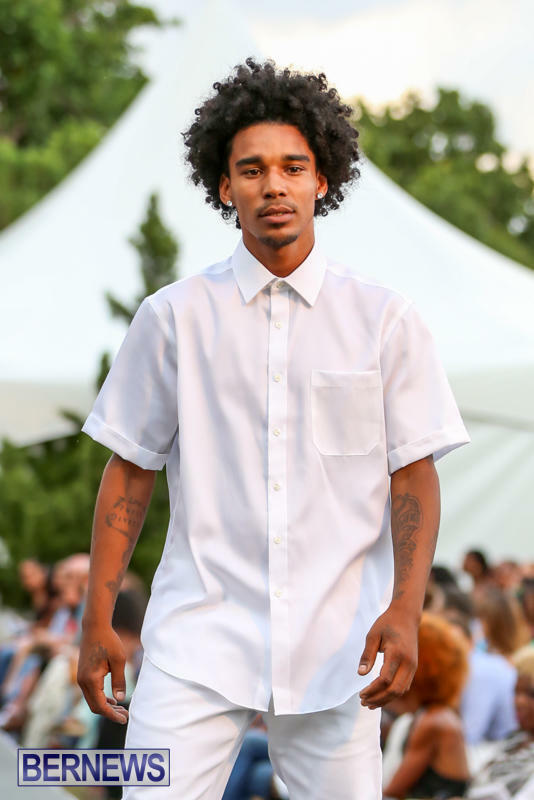 Good question. 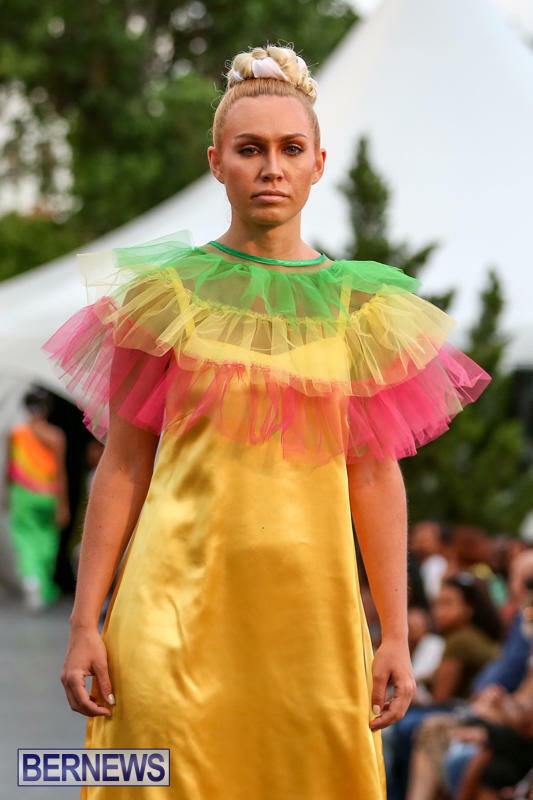 I’ve wondered myself regarding that. 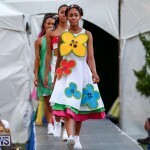 Well done to everyone! 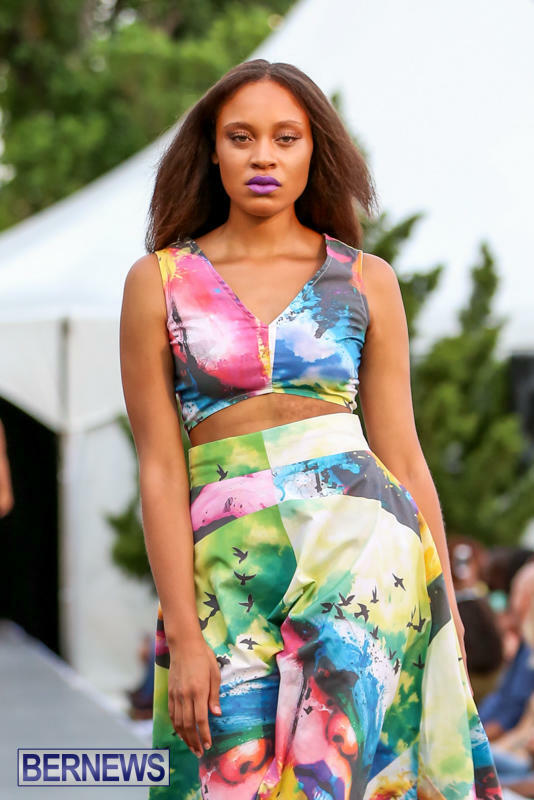 I thoroughly enjoyed all of the collections!